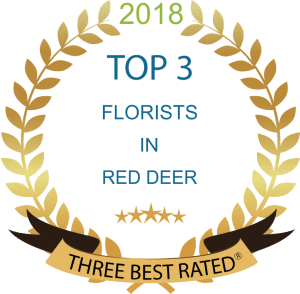 As this is the time of year that people like to send flowers, I try to educate my clients on the difference between a real flower shop and a order gather business when looking for a local business to fill your flower order. It is important to get good value for your money while supporting local business and this information will make sure you connect to the right place that you can depend on. These days it is easy to look up flower shops on google and call them directly when you wish to place a flower order. 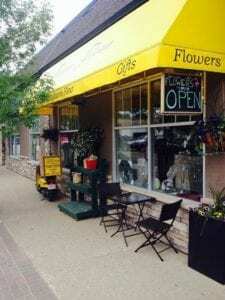 What is not apparent is that there are companies out there that are not actually flower shops. They make it look like they are, and fool you into thinking they are but they are not even close. Here is the rub. They offer you amazing prices and free delivery and they take your money. They then call a local shop like mine and want us to make the arrangement you have bought with half the money because they keep the rest for themselves. They don’t really care if it even looks the same because they know that our name is on the arrangement and when you see what is sent out, you call the local shop to complain and give bad reviews about them. Not to mention that they offer the delivery free even though they know that we have to pay our drivers. They think we will take the order because we need them to stay in business. How can they do this you ask? They have a fancy website and since they have no overheads or even any flowers for that matter, they pay google lots of money for the privilege of being first on the page. They know that the customer thinks they are local because they work really hard to make it sound like they are. I am sure that you would rather support a small local business than someone sitting in an office in another country doing nothing but making promises that you are getting value for your money. How the heck can a person tell one from the other?? Easy, easy, peasy! First, look for a local address on their google ad or on their website. A local shop always posts a local address. Also check for a local phone number. Yes, some of us have 1-800-numbers but we also post our local phone number as well. If they offer free delivery anywhere or tell you they deliver from coast to coast, you might want to look further down the page. As a last check, ask them if they are a local shop and if they say yes, ask for their address. Most of them are not quick enough to make one up. Check the Home and About Us pages for the physical address of the business. If they do not provide it, consider calling another florist. Check the Contact Us page for a local phone number. It should match the area code of the location to where your flowers are being delivered. If the contact information has an email address only, be suspicious. When calling, ask for the business’ location and driving directions. If they fail to provide these details, consider calling a different florist. Be cautious about companies that charge relay fees, same-day fees, service fees, shipping fees and handling fees. Local florists generally charge for delivery but the other surcharges are completely avoidable when ordering direct from the florist who will actually make your arrangement. Remember, these type of businesses are not real and will take your money not caring what you are getting in return. They do not support their local community and don’t pay local employees. I hope your flower ordering experience is a great one. Call us today and send flowers that go from your heart….to theirs. NextNext post:What is a reasonable price?